Dowr Cottage is a bungalow situated near the village of Tintagel in Cornwall. It offers one king-size bedroom and a shower room, the property can sleep two people. Also inside there is an open-plan living area comprising of a kitchen, a dining area and a sitting area with an electric woodburning stove. To the outside you will discover off road parking for two cars and a front enclosed lawned garden with a table and chairs. 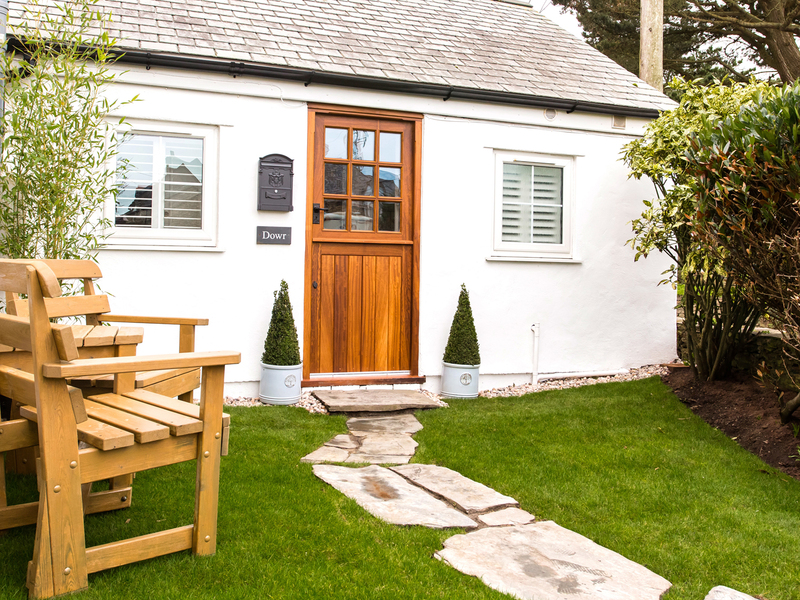 Dowr Cottage is a tasteful cottage in a perfect location for a romantic Cornwall break. Electric central heating with faux logburner. Electric oven and hob, microwave, fridge/freezer, washer/dryer, dishwasher, Smart TV, WiFi, selection of books and games. Fuel and power inc. in rent. Bed linen, towels and waffle bath robes inc. in rent. Off road parking for 1 car. Front enclosed lawned garden with furniture. Sorry, no pets and no smoking. Shop and pub 15 mins walk. Note: There is one step into property, may not be suitable for those with limited mobility. Note: Adults only, no children or infants. Note: No stag/hen parties or similar.